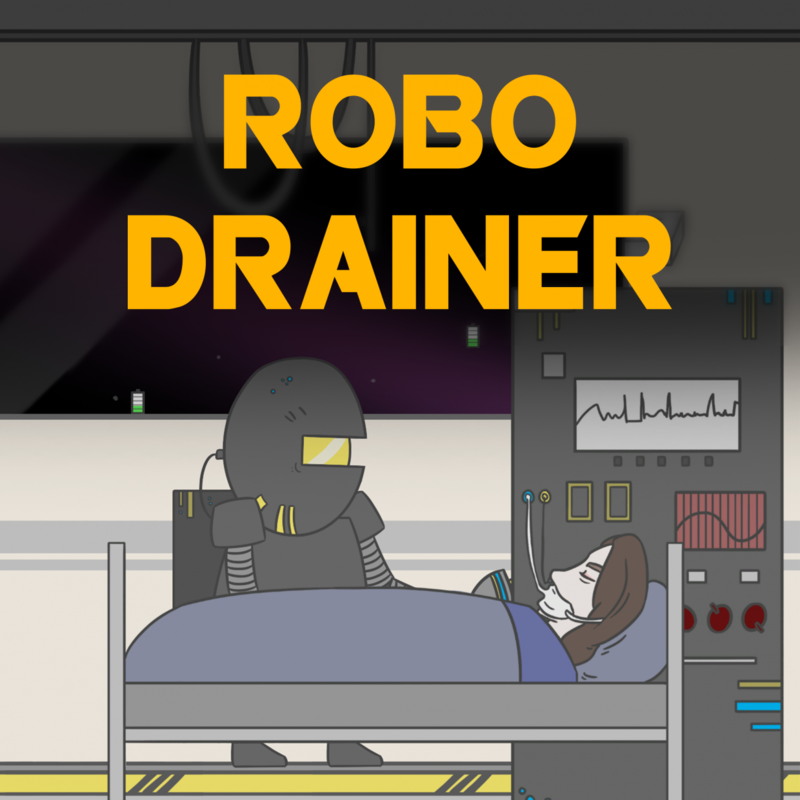 In ‘Robo Drainer’ you play as a devoted lover on a wrecked spaceship. Unfortunately your lover isn’t doing so well. 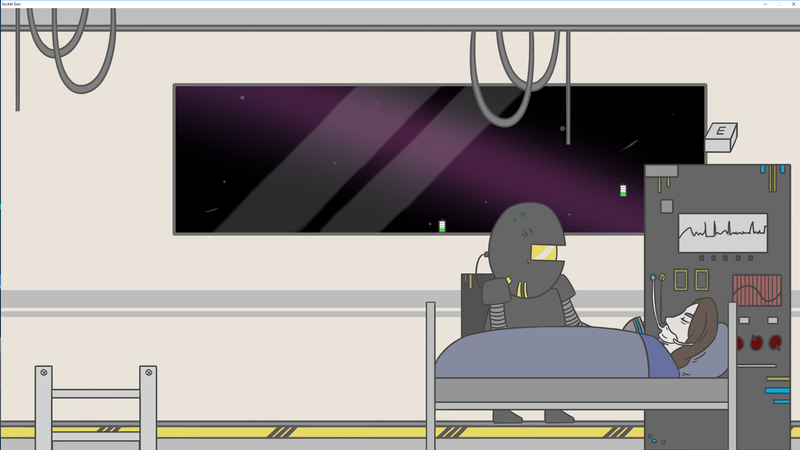 She’s on life support, but since the ship wrecked it’s been running on battery. You have to keep the machine running by draining robots roaming the ship.